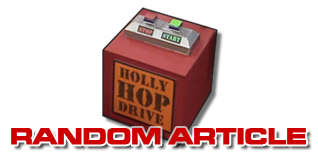 What stock footage is hidden among Red Dwarf's eight series? In the big-imagination, low-budget world of Red Dwarf there are a million clever tricks used to expand the scale of the show. And while occasionally this means putting the cast in ridiculous costumes to take the focus off the backgrounds (kidding! 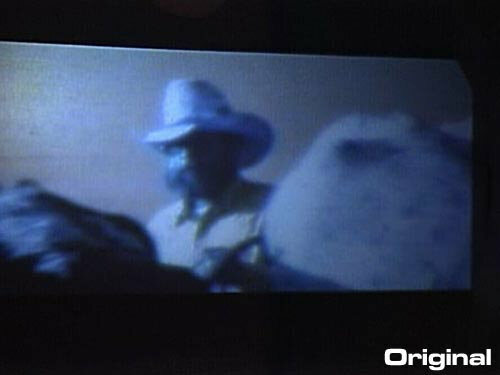 ), right now we're here to talk about the use of stock footage. The term 'stock footage' is arguably a little deceptive - one man's stock, after all, is another's carefully-shot content. Fans might have clocked a section of Red Dwarf's Kennedy assassination episode Tikka to Ride when it turned up as 'stock' in an episode of BBC2's Dead Ringers - so authentic-looking that it passed for the real thing. 'Stock' is also a term that gets a bad rep because it's so easy to use badly. No end of shows, when limited to shooting locations within, say, the confines of Los Angeles, drop in stock footage to create exterior, establishing shots of further-flung settings. But if that stock was filmed on video rather than your show's celluloid film (or vice versa), or if the stock is clearly 20 years old, then it sticks out like a particularly bad haemorrhoid. 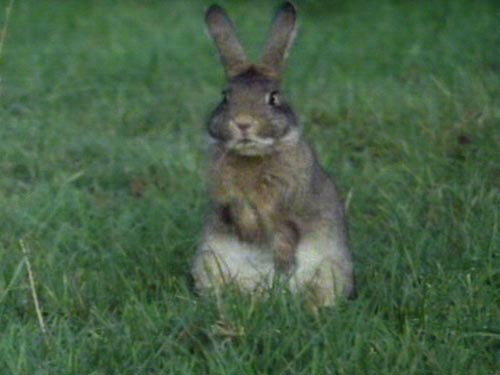 Series III's Backwards includes footage from a BBC production entitled Run, Rabbit, Run - remember that shot of a bunny fidgeting in reverse? They didn't hire the animal for the shoot, take it out on location and wait for it to do something interesting, y'know. It's always going to be easier to go to the library where animals are involved - we all remember the Great Chicken Movement Crisis of 1993. 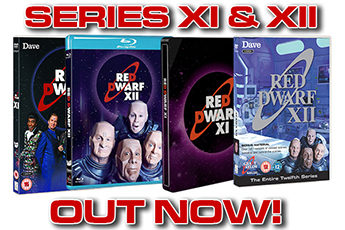 (And if you don't, check the Series VI outtakes on DVD). The backwards fish you see going past Starbug's viewscreen as Rimmer and Kryten sit underwater are taken from another BBC show, 1987's charmingly titled Reflections of a River Keeper. ( A journey down England's Avon River with Tom Williams, its caretaker of 28 years. Observed: pike, perch, salmon, ospreys, eels and colourful great-crested grebes. ) While Backwards was later remastered and the footage replaced (to be fair, the fish looked huge compared to the cast), the new shots also came from that same show. 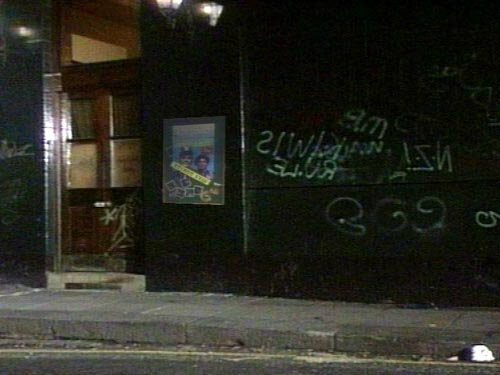 Later in the same episode there's a dingy looking pub exterior - soon to be the site of the 'unrumble' - grotty, graffiti-covered... and actually taken from BBC cop drama Rockliffe's Babies. 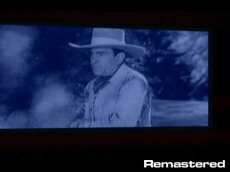 (The 'Reverse Brothers' poster was laid onto the flipped, frozen image in post-production.) Again you can see the logic - why send a crew out to find, and film, a single shot of a wall and a door? One of the reasons the bunny and the icescapes cut so well into Red Dwarf is the fact they were shot on film rather than video. 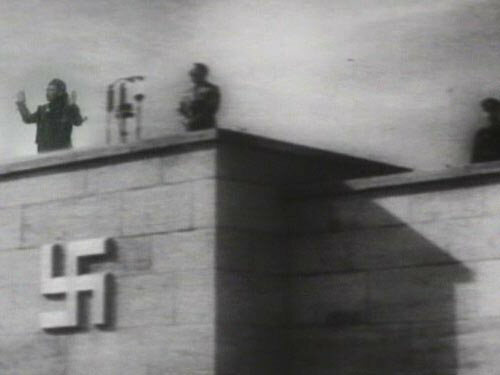 While the show always used video for both studio and location work, model sequences had to be shot on film. So viewers were already used to the back-and-forth cuts in style by the time Series III began to use stock film footage. 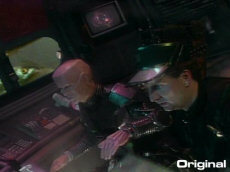 Another icy moment was conjured in Series VII's Stoke Me a Clipper as Ace Rimmer attempted to teach his counterpart the finer points of inter-universal heroism. 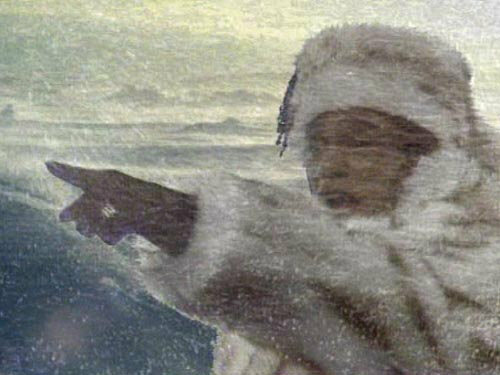 The Swiss mountains that passed under the Rimmers' magic carpets came from SVZ Action and Leisure's promotional film for Switzerland Tourism. Sticking with Series VII, some might expect to be the most stock-heavy show of them all to be Tikka to Ride. The 1960s Dallas setting surely required a mass of 'cheated' shots...right? Apparently not. While there are a few shots shown on Kryten's chest monitor - an LA freeway (taken from the BBC's Tonight programme, dated April 21st, 1960), J. Edgar Hoover at a hearing (taken from the National Archives), a White House shot (courtesy of Movietonews), and a picture of Sam Giancana (Corbis UK Ltd, 1957) - these are all 'as seen on TV' shots. Everything you see 'on location' was shot completely for real... without ever leaving the outskirts of London. Back on the wildlife front, you might have noticed Series IV's bunkroom monitor playing something relaxing. Usually the home of Holly, when the deranged computer wasn't around the space was filled by a delightful bit of goldfish action. Once again a BBC archive job, the tanked fish were apparently filmed for documentary series Open Space. What you probably didn't notice was the footage of a parrot in the background of the appropriately-named Parrot's Bar (on G deck). Only visible for a fleeting moment, the clip nonetheless had to be cleared - it was apparently owned by the BBC Presentation Department. 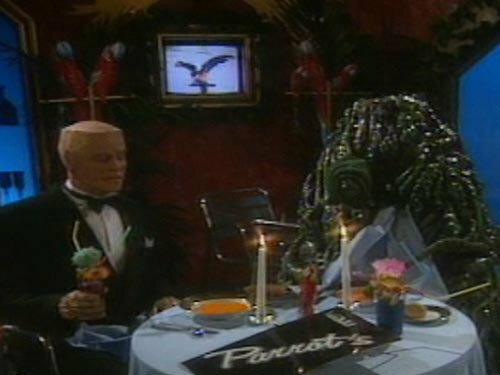 Lister's soap opera in Confidence & Paranoia is another bit of in-show entertainment. 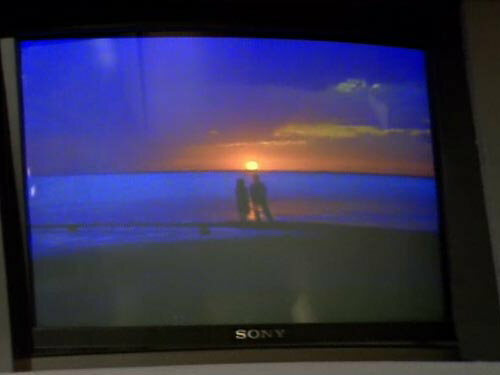 Known as 'Large Sun Setting On Horizon; Couple Standing On Beach Watching', the footage came courtesy of World Backgrounds - and is still available. You can see it on the owner's website here. 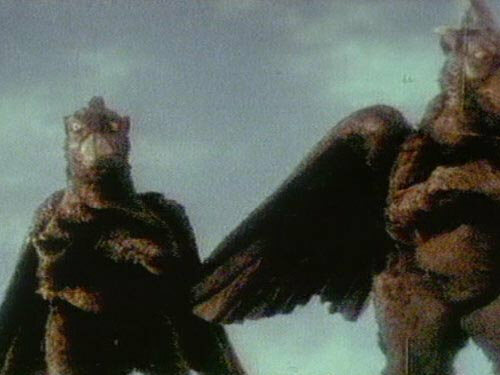 Finally, there's the all-time archive favourite - the monsters in Meltdown. Two winged lizard beasts that 'appear in the same scene' as Rimmer and Kryten, yet are intended to look unconvincing and fake. In a moment that's as close to breaking the fourth wall as the show's ever come, even the footage is left as grainy and knackered as possible. So what's the movie? Well, it's a 1967 effort by director Haruyasu Noguchi entitled Daikyojû Gappa. 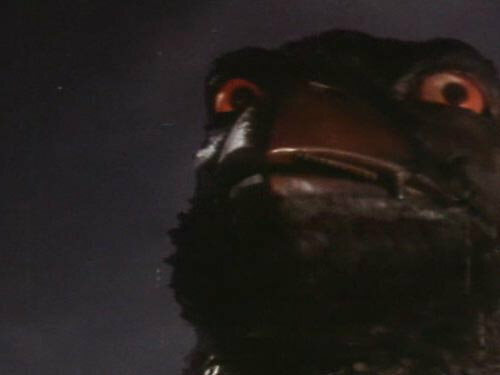 Released in some parts of the world as Gappa: The Triphibian Monster ( Even Mightier Than King Kong ), it tells the story of a giant baby reptile placed in a zoo... whose oversize parents then come looking for it. 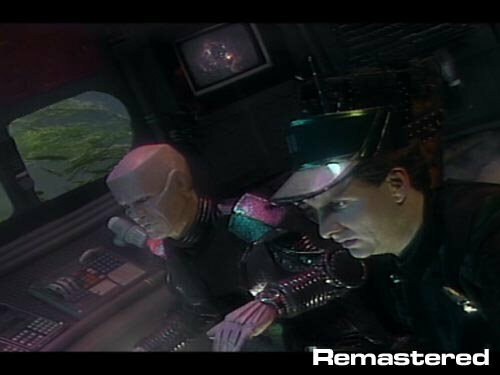 So there you have it - the history of stock footage in Red Dwarf. An article made by cutting and pasting existing information together. The irony police would love it. 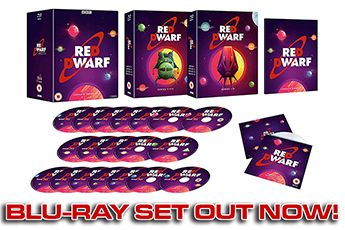 Even more Red Dwarf articles are available in our Features section.